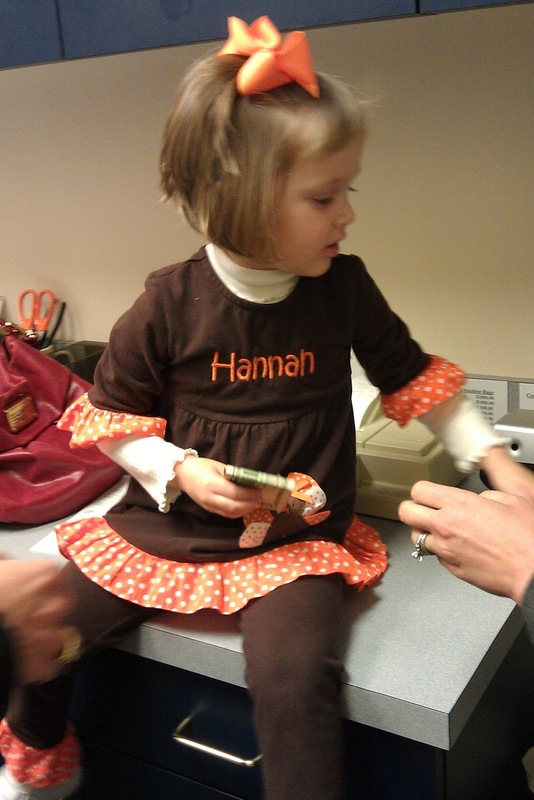 Blog readers might remember this post about Hannah and her piggy bank from last year. Well, Piggy had gotten pretty heavy and was a little difficult for Hannah to take on and off the shelf in her room. So last week we took her, and Piggy, to the bank. We opened Hannah a savings account, counted all the coins (and bills! 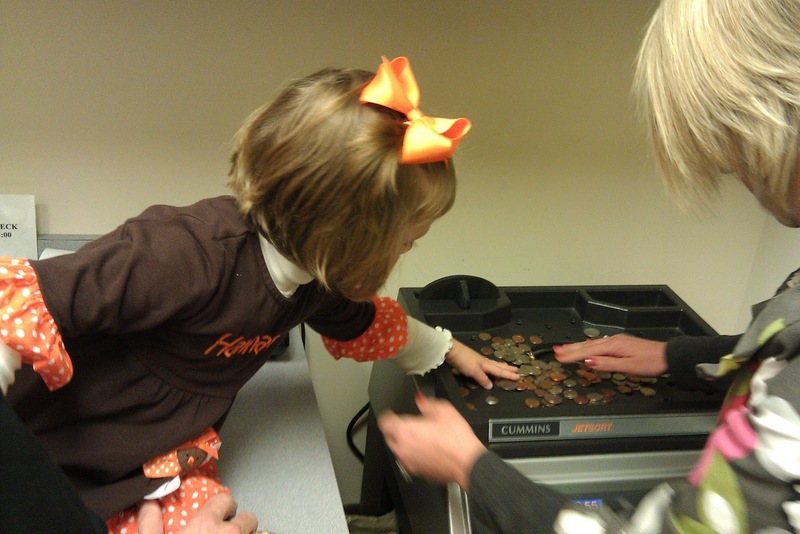 ), and deposited her money. 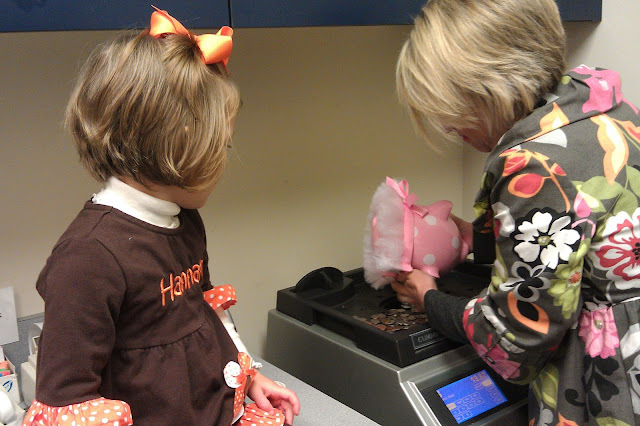 Mrs. Jennifer was really nice, showing Hannah around the bank and letting her help. I think it made quite an impression on Hannah. She is eager to fill up Piggy again! I wonder if she'll be a little saver in a few years...or will she want to buy new jewelry and shoes? ?